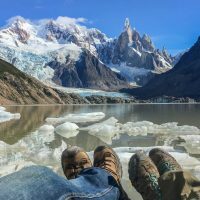 From glaciers and snow-capped mountains to lakes and rolling hills, we moved north from Argentina’s southern Patagonia and made our way to the Lake District. It was time to see what the northern reaches of Patagonia had to offer. The bus ride was brutal. Not that it was overly uncomfortable, but it was long…and I mean long. 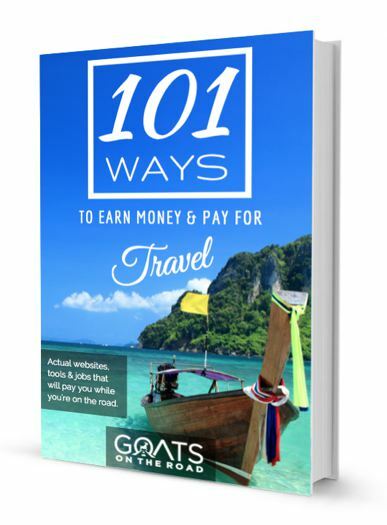 Don’t miss our traveller tips and travel videos at the end of this post! We boarded the bus in El Chaltén at 9:00pm and arrived in Bariloche 26 hours later. Now, typically we wouldn’t complain about the buses in Argentina. We had an amazing 18 hour journey on Andes Mar from Cafayate to Mendoza, complete with wide leather seats (which reclined 3/4 of the way), movies and a game of wine bingo! This bus was the complete opposite. The seats were narrow and cloth, they barely reclined, and there was a metal bar poking into my back. No blankets or pillows were given, the bus was old, there were no movies to help kill time and the bus only stopped once for food and only 2 times to let us stretch our legs. 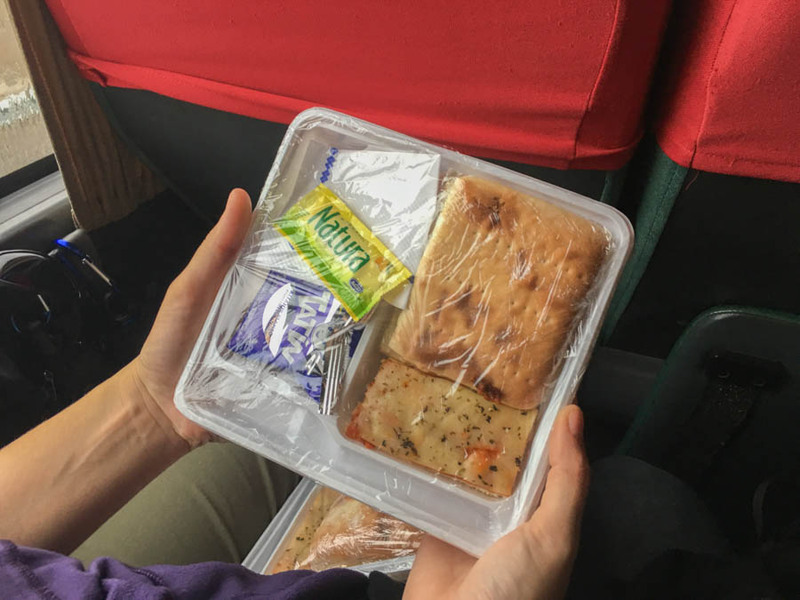 This one meal was given to us during the bus ride – we had brought our own curry and rice dinners but when we opened them up, we realized they had gone bad! But, I guess I shouldn’t complain as this famous Ruta 41 used to have numerous stretches of gravel and bumpy roads and the ride was considered something only the “intrepid” attempted to do. These days, only about 70 kilometers is unpaved – although we did have torrential rain during the drive and were almost stuck in mud. Regardless of the bus ride we had endured, arriving in Bariloche made the journey worthwhile. 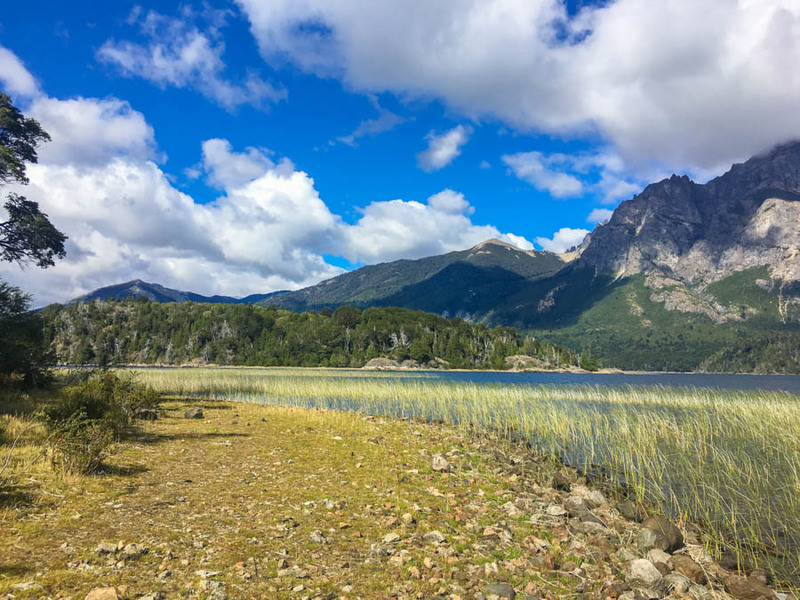 We had heard that Bariloche has similarities to Europe and that it’s even dubbed “Little Switzerland”, and we soon realized why. Many of the shops lining the city center were in an alpine chalet style, complete with wood and stone finishings, and the city had more of a European feel to it rather than South American. To top it all off, there were numerous chocolate shops and fondue restaurants lining the streets! 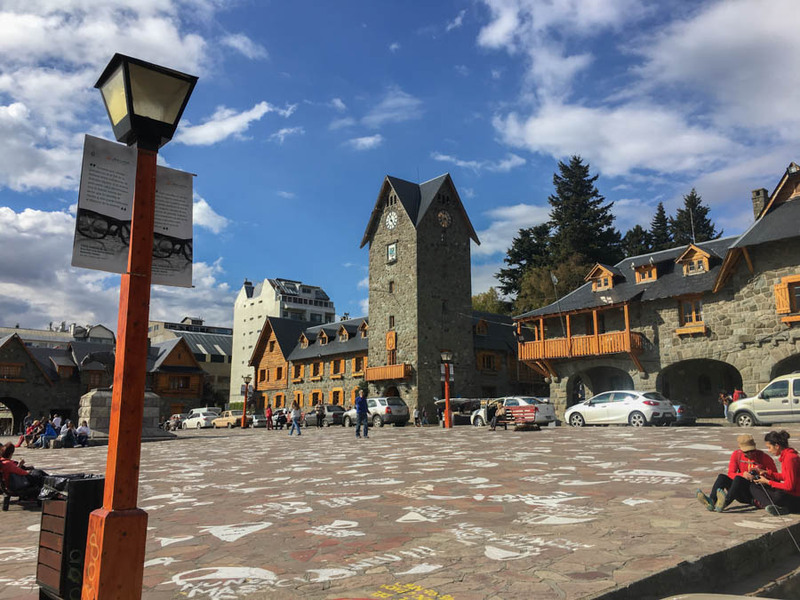 After doing some research and asking around, we found out that Bariloche was actually developed around a shop opened by a German immigrant named Carlos Wiederhold. He travelled across the Andes from Chile and set up a little shop here in present day Bariloche. By 1895 the little settlement was inhabited by German-speaking immigrants from Austria, Slovenia and Germany. By the 1930’s, the town was transformed and redesigned to look more like a city in the Alps, rather than in Patagonia. The city itself was nice enough, but we were here for the surrounding nature. And, if you look at a map of the Lake District, you’ll know why! With the Andes Mountains dominating the border between Chile and Argentina, 7 lakes to explore, and endless outdoor activities, this area is one of the most picturesque and popular destinations for those travelling to Argentina. By far, the best way to explore the Lake District is independently with your own vehicle. We rented a car from Hertz Argentina and set off to see some of the nearby lakes, mountains and forests, and to hopefully do some hiking. 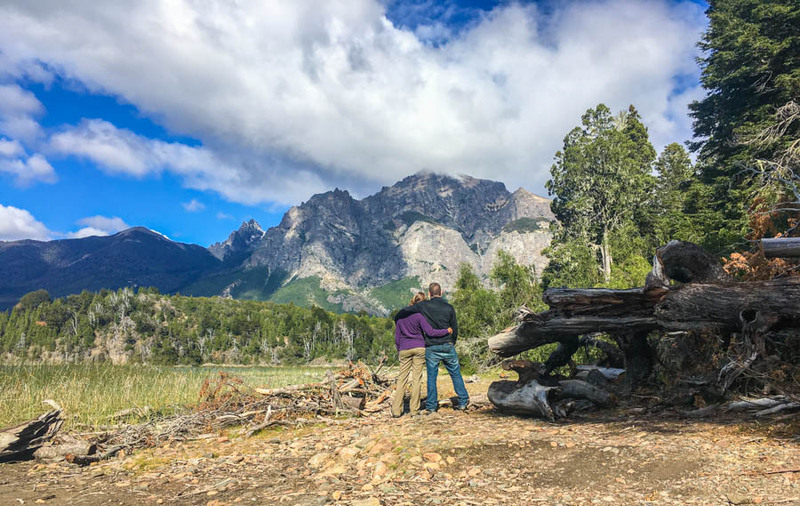 We had read about the nearby Circuito Chico area, which was just about a half hour drive from Bariloche, and decided that would be our first stop. A great way to tackle this area is by starting at the famous Llao Llao resort, and setting off for short hikes from there. 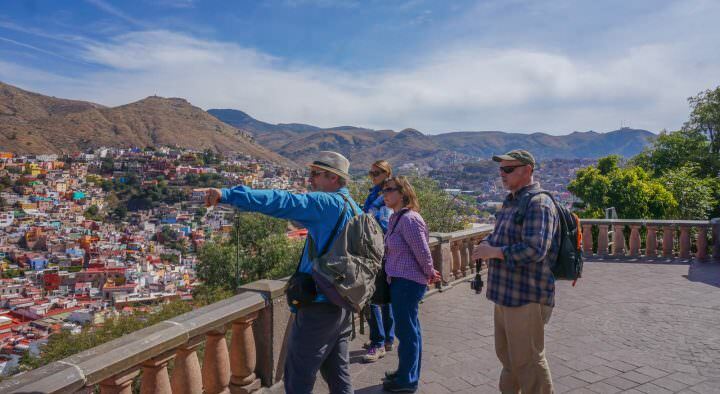 The Sendero de los Arrayanes (Arrayan’s Walking Trail) is easy, peaceful and beautiful. We walked through forest, past wild blackberry bushes (and ate some!) before arriving at West Moreno Lake with view of the Andes in front of us. We walked around the shoreline here for a ways and sat and enjoy the views. Continuing on, we drove the entire circuit which passed by numerous beaches and viewpoints. There are even a few dinosaur museums along the way, a craft beer brewery and a Swiss Village. Towards the end of our circuit drive, we crossed a little bridge which separated Lake Moreno West and Lake Moreno East. Looking over to the west, it was windy and the water was wavy, peering over to the east, the water was calm and due to a small embankment, there was no wind. This was the perfect beach for our picnic lunch. 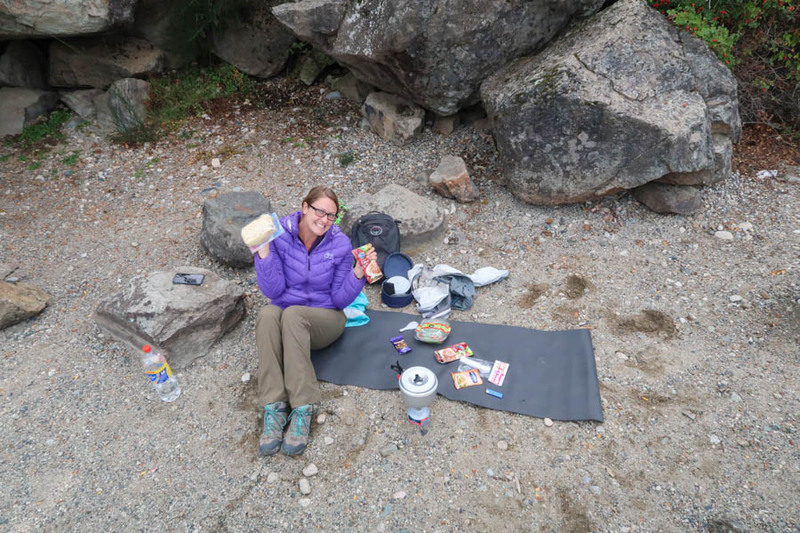 Since our 8 day trek in Torres del Paine, we had been carrying around a mess kit, complete with a little pocket stove and a small container of fuel. We set it up, boiled some water for pasta and enjoyed a spaghetti lunch, complete with salad and chocolate bars. Except for one sweet dog, there was no one on this beach. We had the beautiful views of Lago P. Moreno Este (Lake Moreno East) all to ourselves. The numerous walking trails, beautiful lookout points and stunning nature makes this area of the Lake District a must-see. Rent a car, pack a lunch and enjoy the day. 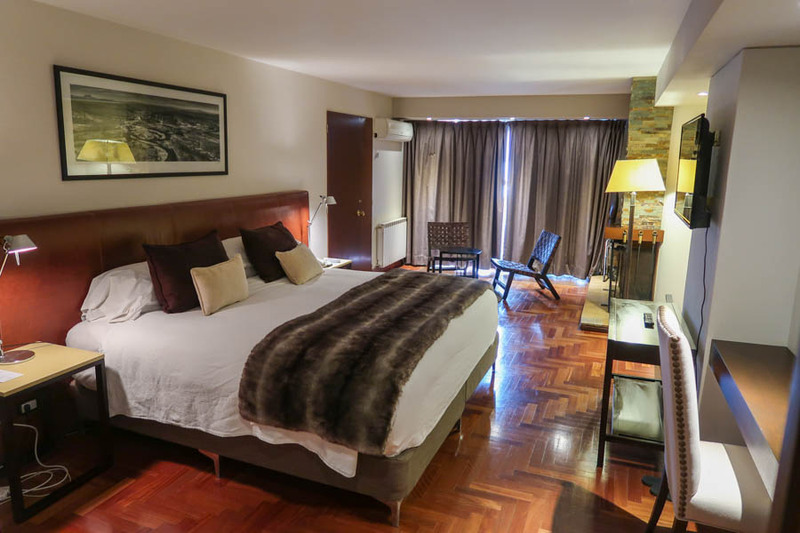 We arrived at the Panamericano Hotel and although we smelled, looked, and felt like we’d been on a bus for 26 hours, our spirits were lifted when we were told we had been upgraded to the penthouse suite! It was exactly what we needed after the long journey to Bariloche. 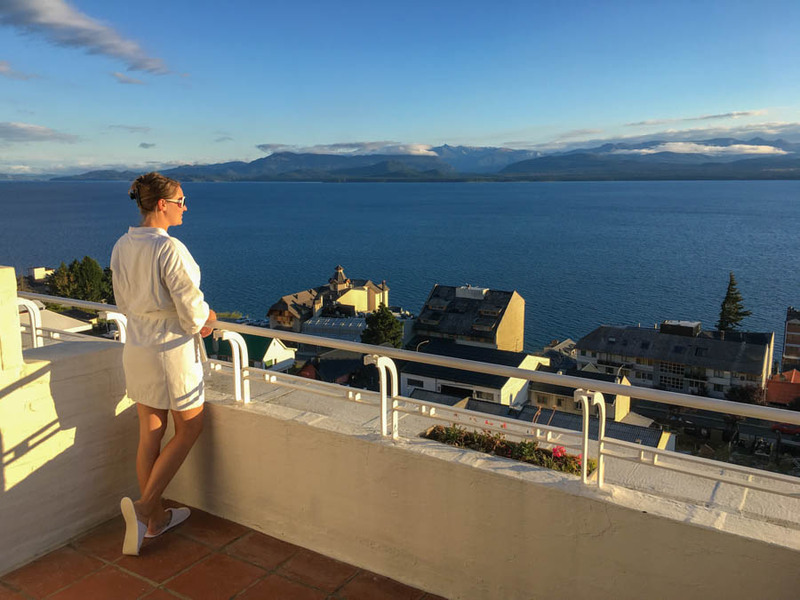 The room was massive, with a comfortable king-sized bed, a little sitting area with a fireplace and a balcony with picture-perfect views over the Nahuel Huapi Lake and to the Andes mountains to the west. 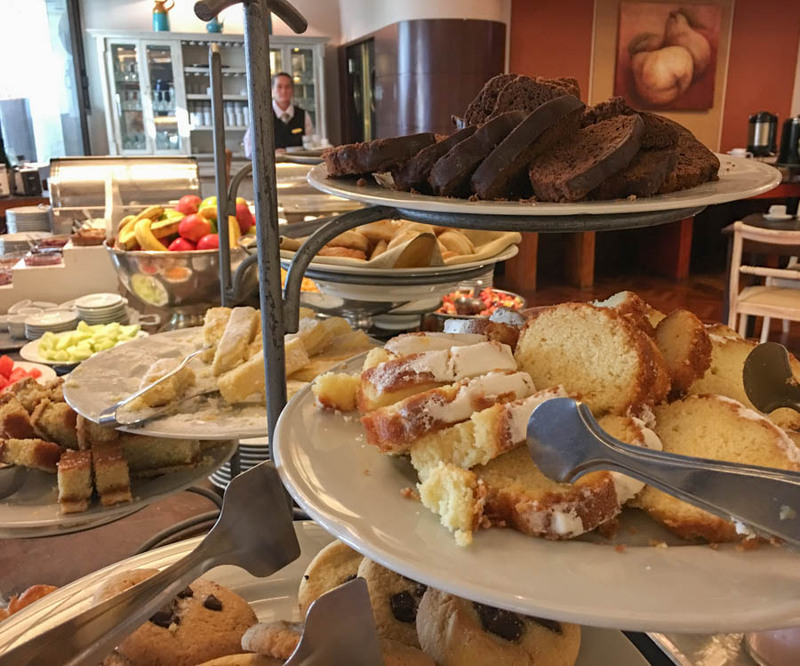 If there’s one thing that Argentine’s do right, it’s breakfast (and steak, and wine…), and here at Panamericano, the breakfast was exactly as we had grown to know and love in this country. 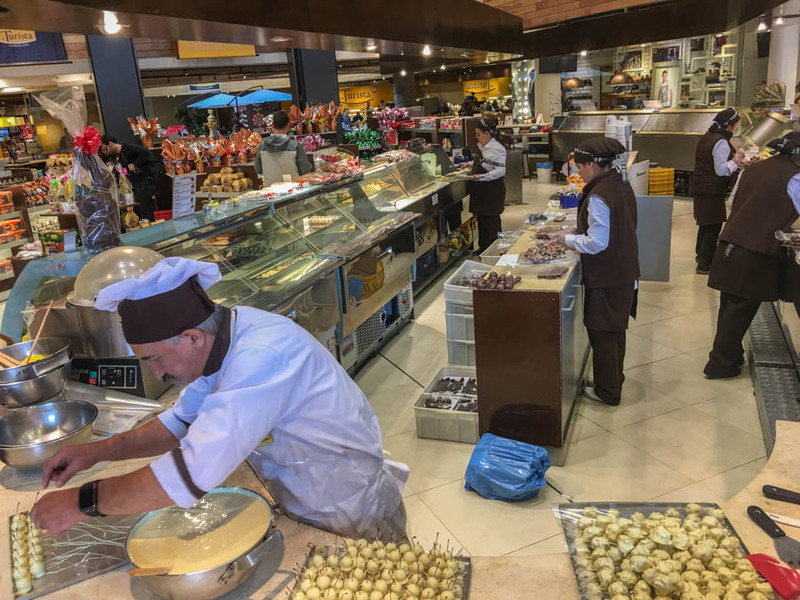 One section offered a wide variety of sweets, anther area of the huge table had fruits, yogurt, cheese and granola, while at the far end were a couple of metal containers filled with potatoes, eggs and meat. The best breakfast spread ever! The breakfast spread was massive and was the best one we had seen so far on our Argentinian travels. The welcome drink at the attached bar was a nice touch as well. 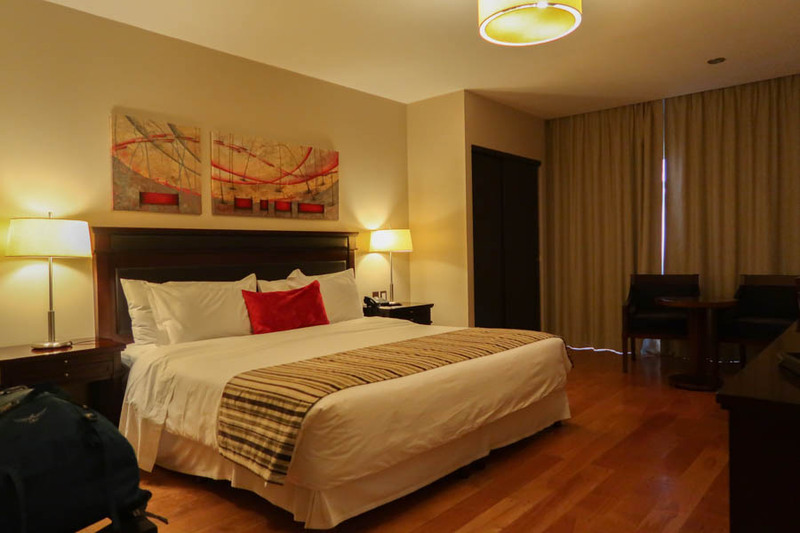 Click here to compare room prices and see reviews of Panamericano Hotel. This was the second hotel we stayed at for 3 nights, and we were not disappointed. The staff here were incredibly friendly – printing off documents that we needed, helping with directions, and allowing us to stay in our room for a late check-out at 5:00pm – something we think more hotels should offer! Our room here had king-sized bed, a large bathroom with a nice tub and a little table with chairs. 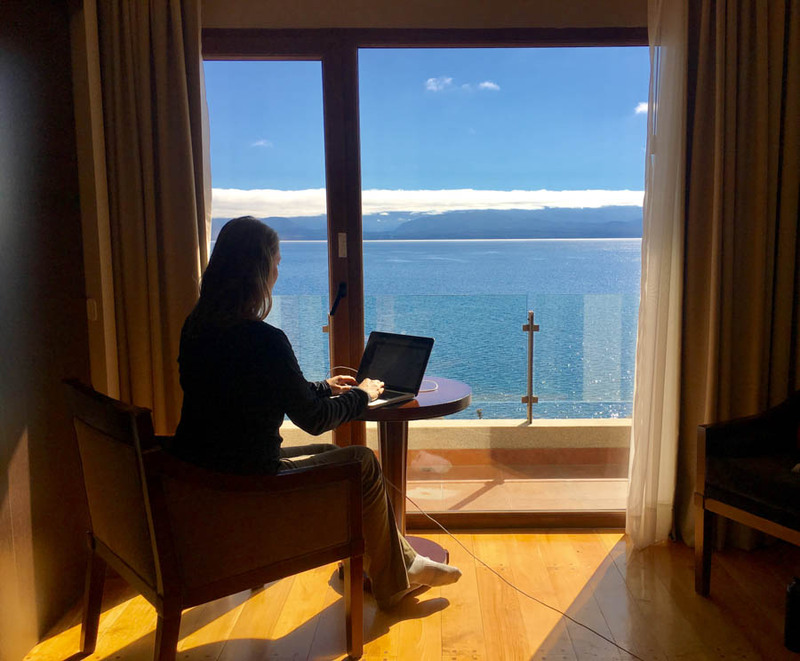 The unobstructed views of the glistening Nahuel Huapi Lake and Cerro Catedral Mountain from our window was the icing on the cake. A large breakfast spread was served each morning in the restaurant and the setting was spectacular. This room was very comfortable! The rooms and staff were incredible, and as an added feature, we were given free access to the spa. We donned our robes and relaxed in the hot pool with jets each day. 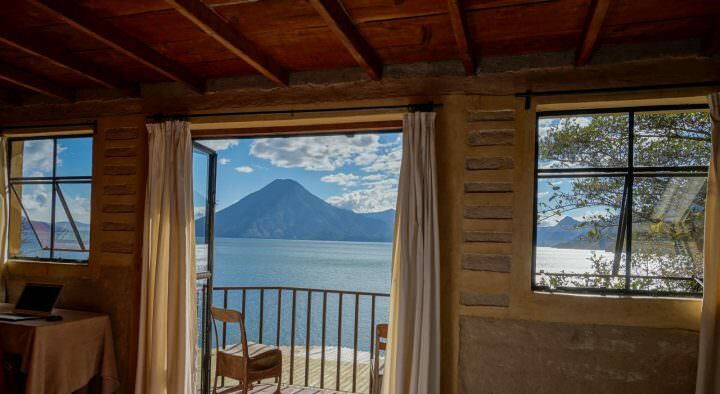 We really enjoyed our stay at Alma del Lago. 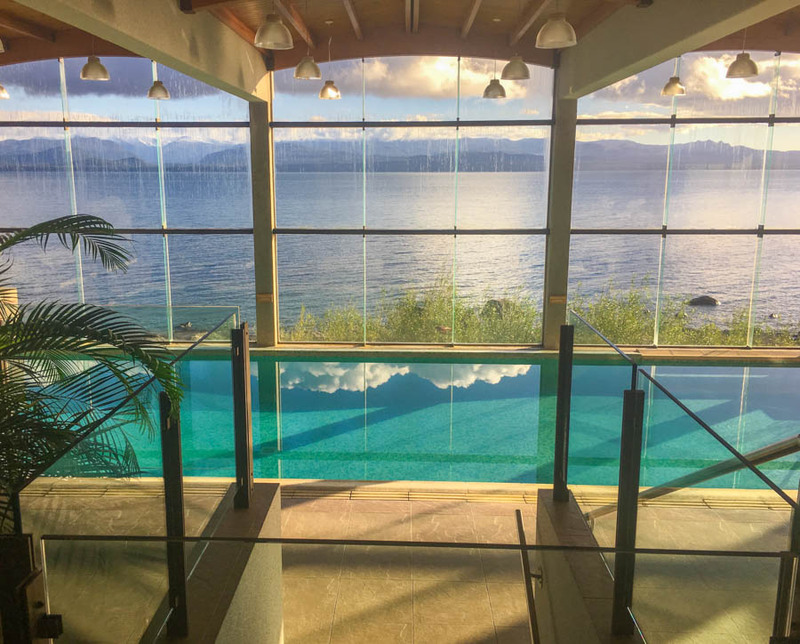 Click here to compare room prices and see reviews of Alma del Lago. As with everywhere in Argentina, be aware that dinner starts at 8:00pm, and restaurants generally don’t open until this time. In fact, you will be surrounded with tourists if you choose to eat at 8:00pm, with the Argentines coming to dine around 10:00pm. 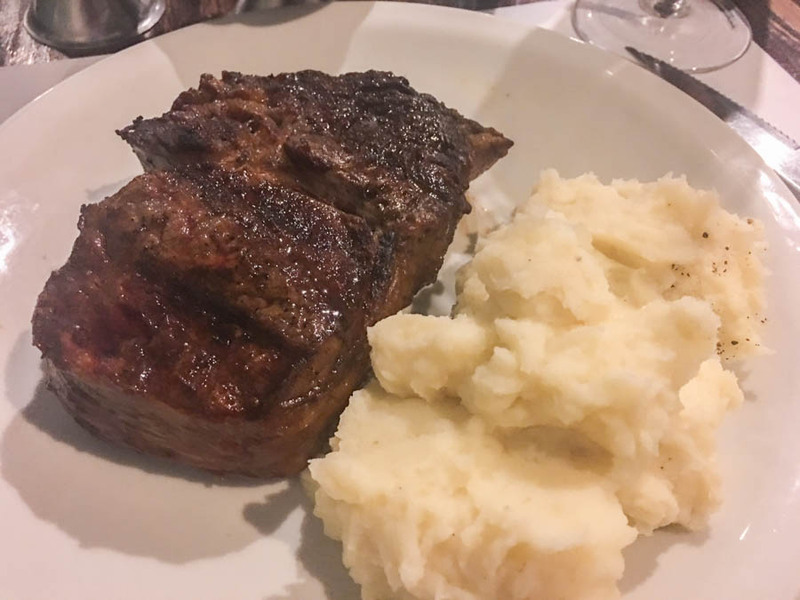 Up until travelling to Bariloche, the best steak I’d ever had was at the restaurant at Patios de Cafayate, but, having now eaten 4 steaks at Alto el Fuego restaurant, I have a new favourite! This small restaurant was buzzing with customers from 8:00pm onwards until closing time. We dined on perfectly prepared rib eye steaks (ojo de biefe), with sides of mashed potatoes and mixed vegetable salads. The portions were massive, the service was top-notch and the prices were good too. Insider tip: they have 3/4 portions of everything on the menu, even though it’s not listed. If you order the “small” steak or lamb, or sides, it will still be enough food to fill you up…and the price is less. Small portion of lamb is 220 pesos ($14.25), rib eye is 220 pesos ($14.25) and a small side of mashed potatoes and mixed green salad are 55 pesos each ($3.60). A bottle of wine is around 300 pesos ($20.00). It’s worth eating at this restaurant at least once during your stay. For something a little more cheaper and for a great snack on your road trip, check out this empanada spot. They have numerous types to choose from and each cost 25 pesos ($1.60). This vegetarian restaurant serves a buffet style of food and the price is based on weight. Food here was decent and a good spot if you’re looking for a non-meat meal. One large container of food, and a smaller container cost us 200 pesos ($12.80). 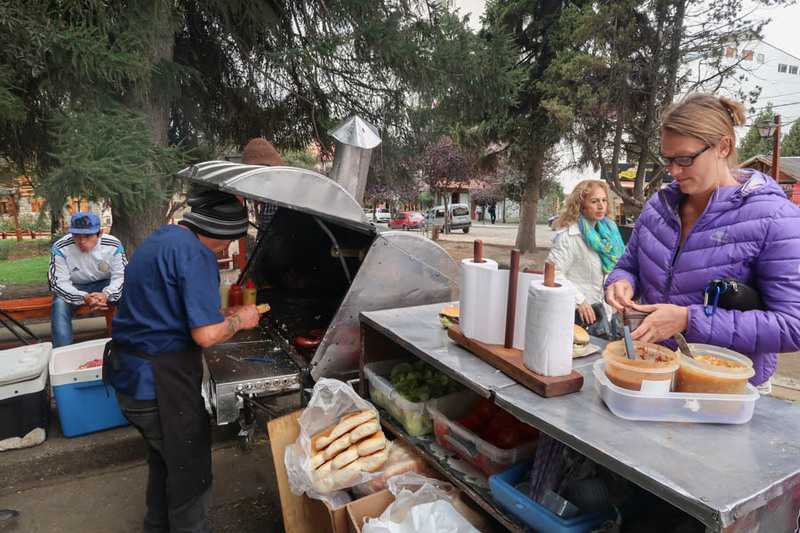 In the main plaza on the weekend, one man was serving up churrasco sandwiches and hamburgers from his BBQ for 40 – 50 pesos each ($2.60 – $3.23). Bariloche itself was nice enough and it has a few things to keep you busy for a couple of days. But the real star of the Lake District is the surrounding wilderness and lake-side towns. 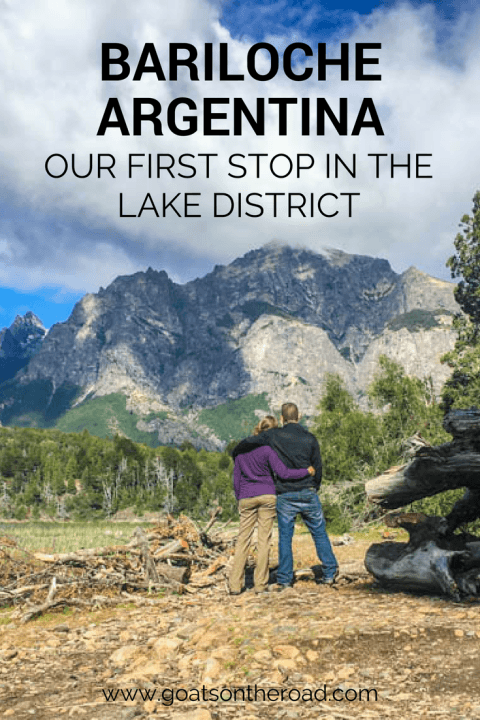 After wandering around the pedestrian streets, relaxing at our hotel’s spa, seeing the beauty of the nearby lakes and eating way too many steaks, it was time to move on and see what the rest of Argentina’s Lake District was all about. Check out our Travel Videos from The Lake District! 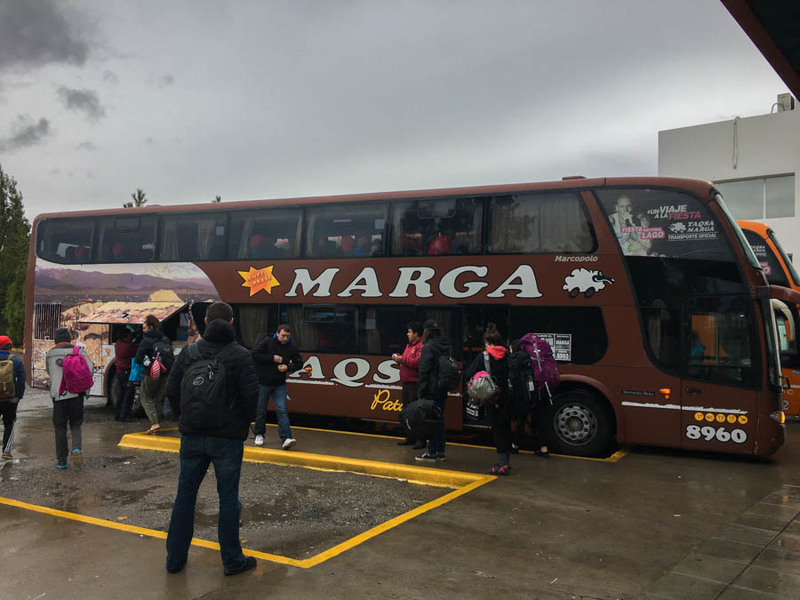 Unless you have your own vehicle, or you are coming from El Calafate where there is an airport, your only option from El Chaltén is by bus. The cost is 2,040 pesos ($130). Bring food and water with you. A taxi from the bus station into the town is around 100 pesos ($6.50), and they will use the meter. 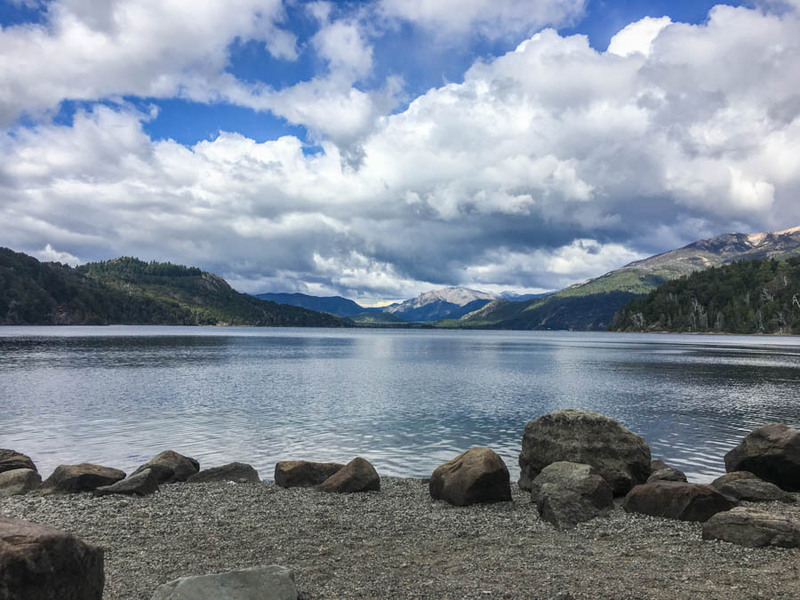 To move on from Bariloche to the nearby villages, we suggest renting a car and staying at the villages, or going on a day trip. If the car is too expensive for you, consider sharing the cost with new friends! 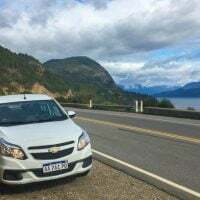 At Hertz Bariloche, the rental cars go for around $50 / day (we paid $65 / day in Salta!). From Bariloche to Buenos Aires, you can fly or take the bus for 26 hours. Often there will be discounts if you purchase your bus ticket at the station, and in cash. One ticket is 1,670 pesos ($108), but because we paid for the ticket in cash at the station, we received a 500 peso ($32.50) discount on each ticket. A big thank you to the team at Destino Argentina for arranging our accommodation and our rental car during our stay in Bariloche! We aren’t required to provide any positive reviews, and as always on this website, all opinions remain our own. All pictures are amazing! 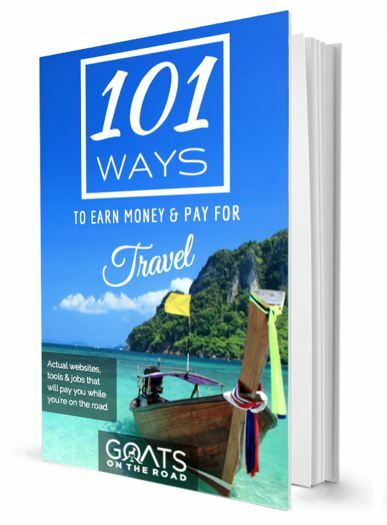 Great tips shared by you and love the mountains. Hope you had great time there! I will add this place into my bucket list. So, that I can plan a trip at Lake District.